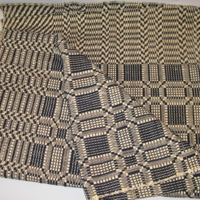 A reconstructed carpet loom from a home on Fairfield Street. 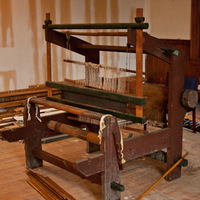 Many homes had small looms like these which supported small family businesses. 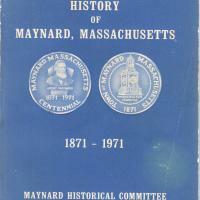 The history of Maynard, Massachusetts written at its 50th Anniversary in 1921. 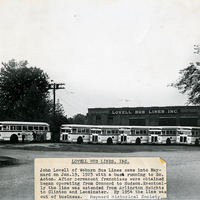 This is the current definitive history of the town written for the centennial in 1971. 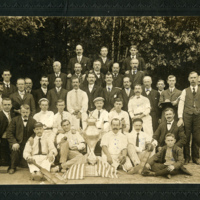 Photograph of the Maynard Cricket Club. Photograph taken at Lake Boon in either 1914 or 1916. 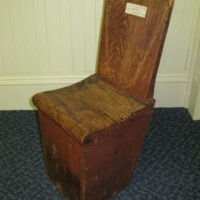 An original chair from the "old Brick School" on Summer Street. 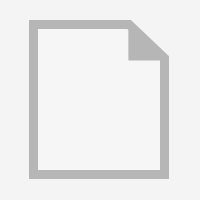 A 71 in. x 96 in. piece of the first carpet manufactured in the Assabet Mill when if started in 1847. Preserved and handed down through the Maynard family. 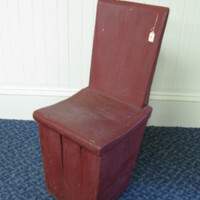 Sold in 1900 in connection with Merchant's Week by Alfred T. Haynes General Merchandise Store (117 Main Street, Maynard). 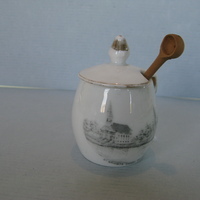 The creamer depicts the Assabet Mfg. Co. 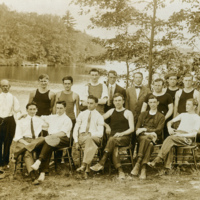 In May 1900 the Merchants of Maynard put on a week and held it at the Music Hall. All had a display of their merchandise. Admiral Sampson, hero of Santiago in the Spanish-American War was the principle guest. 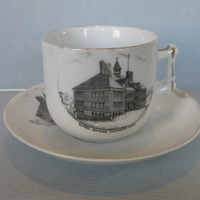 The cup depicts a school building. 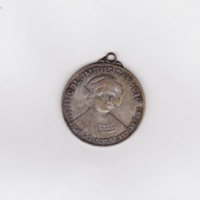 Souvenir used during Merchant's Week in May 1900. 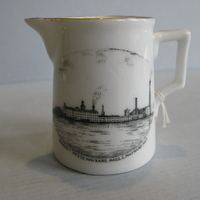 The cup was made in Germany for the Alfred T. Haynes Co. It depicts St. Bridgets Church. 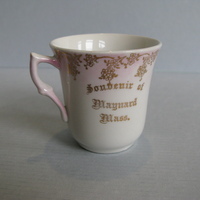 The mustard cup was produced for the May 1900 Merchant Week celebration. 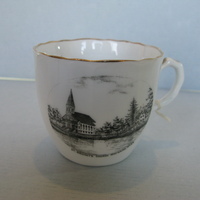 There is a depiction of St. Bridgets Church on the cup. 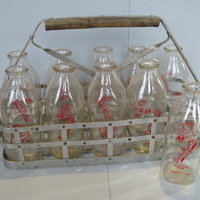 United Co-Operative Society wire milk carrier and 10 - 1 quart bottles. Most homes had one of these in the early 1900's. 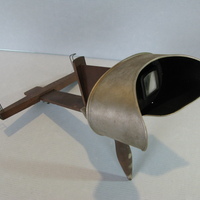 see 2016.540 for an example of the stereographic card that goes with the viewer. 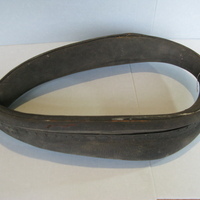 This type is still used on work horses. 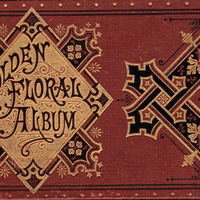 This autograph album was the property of Miss Mary A. Peters, Maynard, Mass. She was married to Mr. Frank E. Sanderson, September 24 1902. Miss Peters was a great grand-daughter of Amory Maynard.